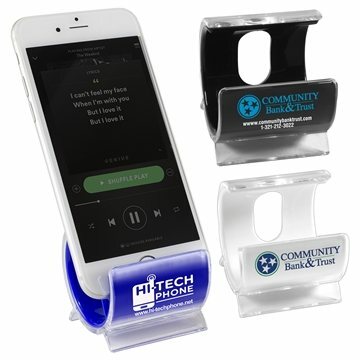 Holds cell phones,MP3 players,tablets and other electronic devices in a vertical or horizontal position. Great for home of office. Oval cutout in back of stand allows each cable access (for charging or synching) while device is cradled in stand. You can't go wrong with this item. It's on the lower end but makes a nice statement on a customer's desk. They were great. Everybody seems to like them. It was a pleasant experience because of Veronica. Thank you!